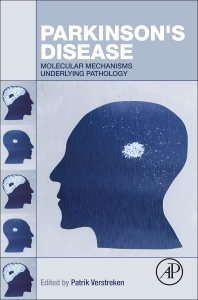 Parkinson’s Disease: Molecular Mechanisms Underlying Pathology explores the molecular pathways at the basis of the cellular defects connected to Parkinson’s disease, the second most common neurodegenerative disease, and the most common movement disorder. This book presents the latest research on the pathways and mechanisms that have been discovered to play a role in Parkinson's pathology. This focus on mechanisms rather than individual genes allows the contributors to elaborate on overlapping and joint functions of different causative genes. Readers will find descriptions of model systems that present parallels (and differences) between discoveries in different species, demonstrating the importance of multidisciplinary research that spans a broad array of technologies and model organisms. Written from both a cross-methodology and cross-species perspective, the book provides readers with the current state of knowledge on the molecular biology of Parkinson’s. 4. What Have the Genetics Taught Us About Electron Transport Chain Dysfunction and the Sporadic Forms of Parkinson’s Disease? 6. Do Other Forms of PD Involve Defects in Mitochondrial Movement? 4. Autophagy in the Nervous System: Friend or Foe? Dr. Verstreken earned his PhD in Developmental Biology at Baylor College of Medicine in Houston, Texas, USA, in the laboratory of Dr. Hugo J. Bellen, after which he did post-doctoral research at Baylor’s Department of Molecular and Human Genetics/Howard Hughes Medical Institute. Since 2007 Dr. Verstreken has served as a Group Leader at VIB and at the University (KU Leuven), Belgium, he was appointed full professor in 2013 and became co-director of the department in 2016. 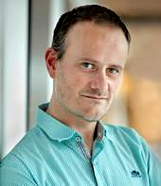 Patrik received an ERC Consolidator Grant in 2015, an ERC Starting Grant in 2010 and a Marie Curie Excellence Grant in 2007 and was appointed as a Francqui Docent in 2009. Dr. Verstreken was chosen to receive the 2014 IBRO-Kemali Prize in recognition of his outstanding work on mechanisms underlying presynaptic transmitter release, and its relevance to neurodegenerative diseases. The IBRO-Kemali International Prize for Research in the Field of Basic and Clinical Neurosciences is awarded every two years to an outstanding researcher under the age of 45 who has made important contributions in the field. In further recognition of his work and outreach activities, Patrik was also recently elected to join the FENS-Kavli network of excellence. Patrik Verstreken’s Laboratory studies neuronal communication in health and disease, by combining fruit fly genetics and molecular biology with electrophysiological measurements of synaptic transmission and an array of imaging strategies. Dr. Verstreken and his team have unraveled numerous aspects of how the synaptic vesicles from which a neurotransmitter is released are trafficked in presynaptic terminals, how this trafficking depends on energy supplied from mitochondria, and how these processes may be affected in neurodegenerative disease. Strikingly, he has identified vitamin K2, which is known for its role in bone formation and blood clotting, as a novel mitochondrial electron carrier molecule that is required to maintain high levels of mitochondrial activity and neurotransmitter release. These findings are important for understanding how synapses function and have potential relevance to devising therapies for Parkinson’s disease and related disorders. “In spite of his young age, Patrik has already made impressive contributions to neuroscience and has established himself as one of the most promising neuroscientists of his generation in Europe,” wrote Pietro De Camilli, M.D. (Eugene Higgins Professor of Cell Biology at Yale University, USA), in his letter of support for Dr. Verstreken. “His success as an independent investigator has been nothing short of spectacular.... He is also pursuing collaborations with industrial partners aimed at promoting a translation of his results into research with potential clinical relevance.